This is my second time visiting Japan, and by chance (I tagged along with my sister and her Okinawa-based friend who were going to catch BTS’s concert), I got to visit both Fukuoka and Okinawa. While Fukuoka city, capital of Fukuoka Prefecture, isn’t as large or bustling as Japanese capital Tokyo, it is a vibrant, cosmopolitan city that has both excellent retail and food options to offer—in fact, I feel it’s a friendlier and much more approachable city to visit. The particular route below contains both actual spots I visited and had planned to, rejigged so it’s cleaner and easier if you’d like to fit into your own plans. 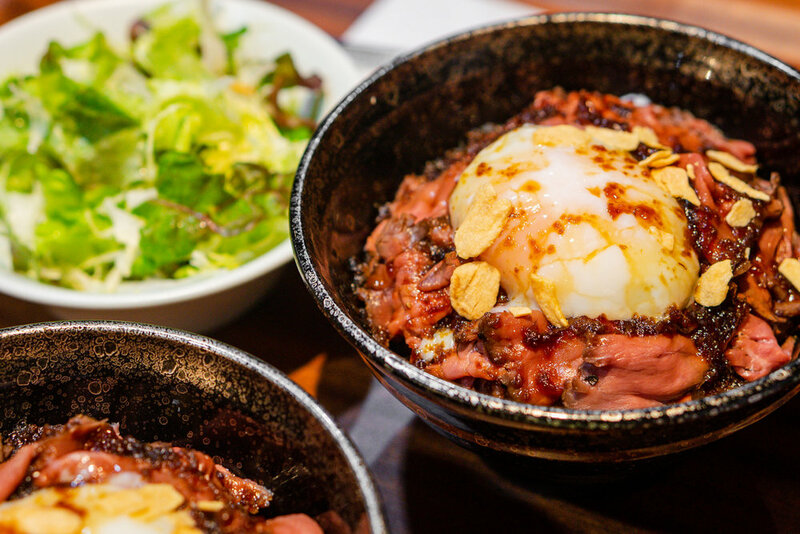 On Day 1, acquaint the food scene around Akasaka, plus late-night Don Quijote shopping. 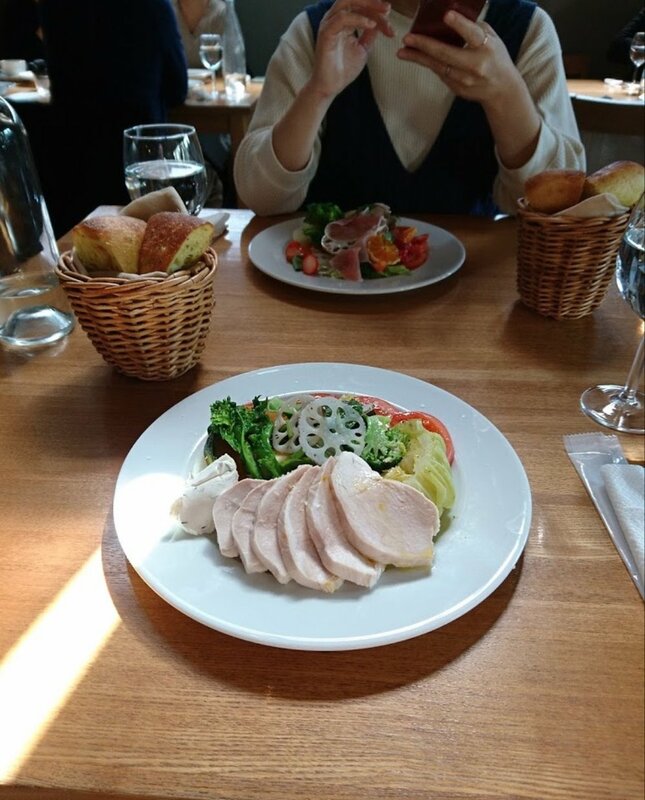 On Day 2, have a beautiful brunch at Bills before shopping around Tenjin. On Day 3, explore Hakata area, fight Space Invaders, and queue for gyoza. On Day 4, take it easy with sights around Maizuru Park, good coffee and bake goods. If you want to be in the heart of the city, I recommend staying around Tenjin - lined with trendy restaurants, cafés, and boutique shops, it feels just like Shibuya! If you’re looking to make your way across different cities, it might be more convenient to be based closer to major railway station Hakata. 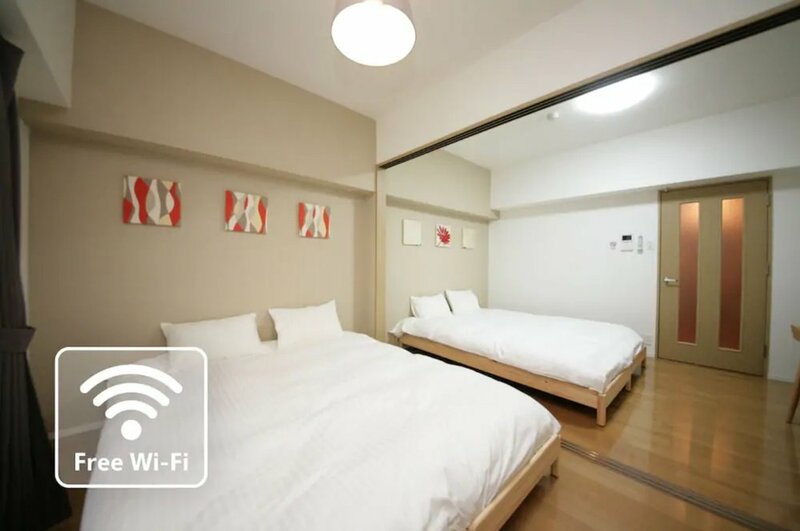 I stayed at this spacious and clean Airbnb in the hip Daimyo district. It’s an easy and straightforward walk from Akasaka station, and you’re basically just beside the main Tenjin area. Use my referral link for S$45 off your first Airbnb booking. There is plenty to explore around the lanes of Daimyo district; from heritage shops to vintage and streetwear stores; ramen-yas to tiny cafes and bars. 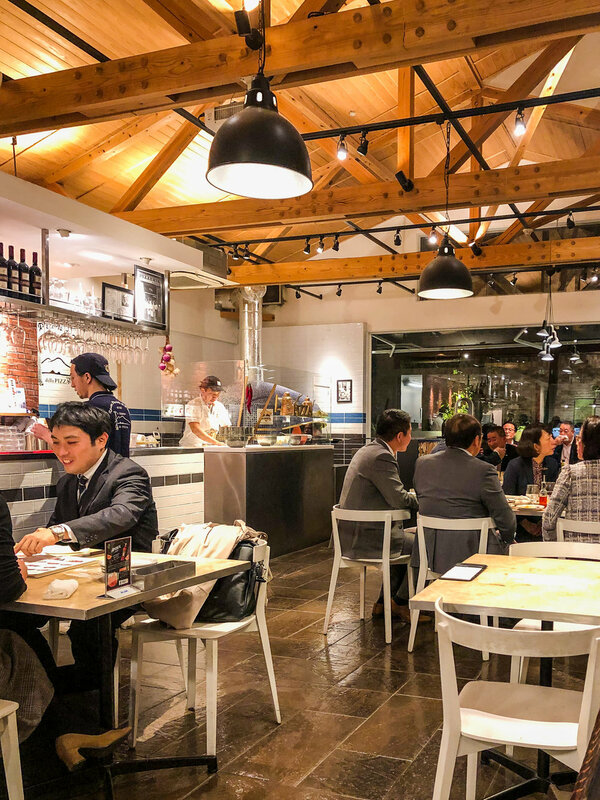 Acquaint yourself with the food scene around Daimyo, Akasaka—many small shops and cafes around. 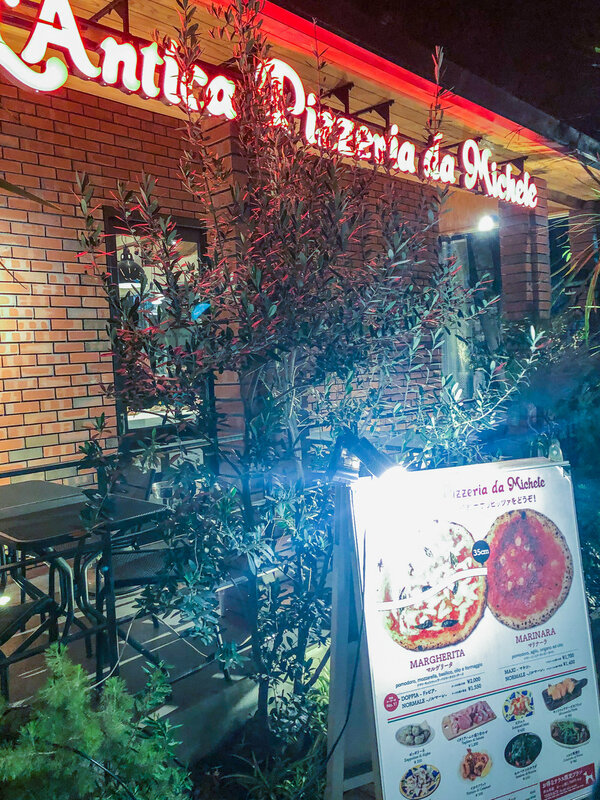 I highly recommend the delicious pizzas at L'Antica Pizzeria da Michele for dinner. Also, late-night shopping at Don Quijote for anything you missed packing or looking to stock up on. What: Said to be the first restaurant in Japan to top Tonkotsu ramen with a chilli pepper seasoning. Noodles are the thin kind, and I recommend opting for standard and above level of their seasoning if you prefer deeper flavours as the Tonkotsu broth here is the more light and clean tasting sort. What: Cutesy concept store themed after "Alice's Adventures in Wonderland”—you even have to bend down to enter the store through a shrunken door. Filled with sweets, accessories and some whimsical fashion pieces. It’s said there’s almost always a queue at the Tokyo outlet. What: Cozy cafe that offers not only pretty bubble tea concoctions, but also alcoholic beverages and food items. A patient lady took my order of Matcha Cheese Tapioca Tea, before starting to prepare my drink. Freshly whisked matcha meets a generous pile of soft tapioca pearls, then deliciously poured over with milk and capped with a light and pillowy cream cheese topping. What: Chanced across this tiny store selling equally petite cheesecakes. We came by quite late (near closing time), so only left with a few options. The tiny classic Kaka looks ordinary, but packs a dense cheesiness that glides across the tongue; the Camembert version, on the other hand, is a powerhouse with that distinct rich, mature butteriness. What: A parfait specialty store using only the freshest, premium and seasonal fruits from farms in Fukuoka itself. 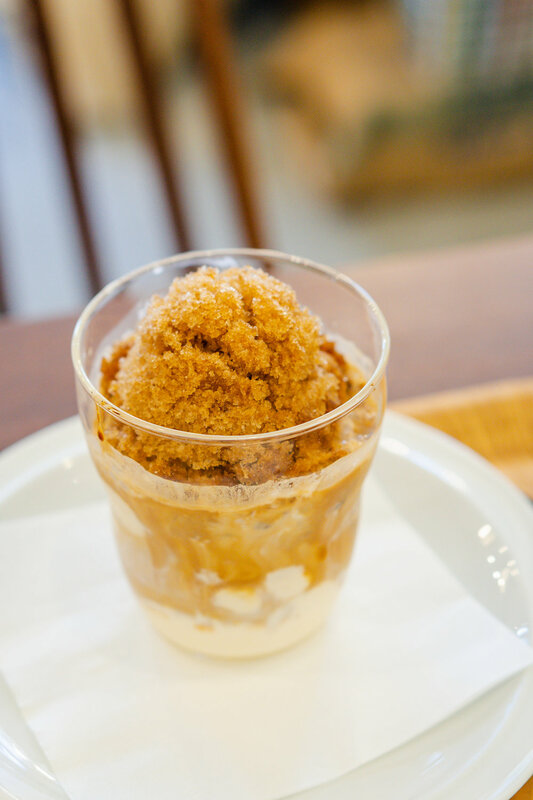 Not cheap—premium parfaits, such as those showcasing miraculously rich and sweet Amaou strawberries or seasonal muskmelons, are easily around ¥1,200 to ¥1,500—but so worth it. 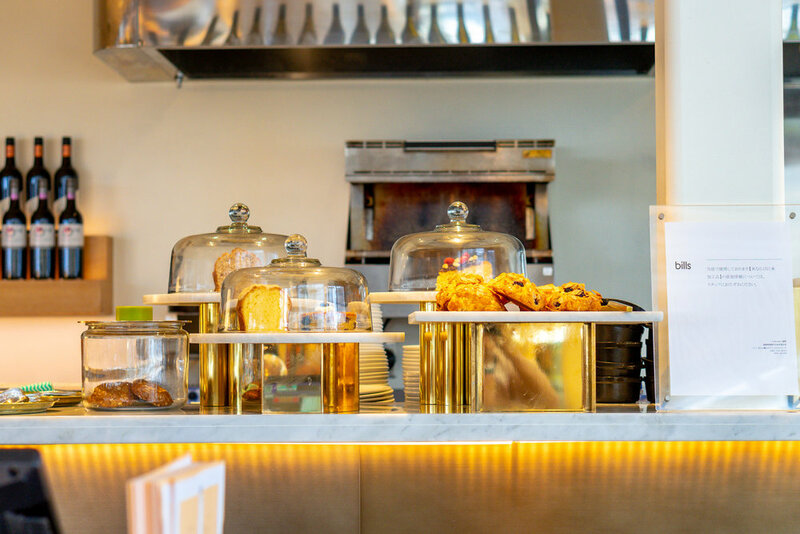 What: Following a traditional Neapolitan style, this outpost uses the same pizza oven, and even same, imported oil, flour, tomato sauce used at their original Napoli store. Pizza menu is kept concise—only two choices of char-blistered pies: Margherita and Marinara (starts ¥1,400) —though there is a good variety of antipasti and seasonal specials to feast on. What: No nightlife is complete without a late-night trip to Don Quijote/Don Don Donki. This outlet just off Tenjin doesn’t feel as expansive as the one I visited in Tokyo, but there’s still plenty to browse with their six floors. 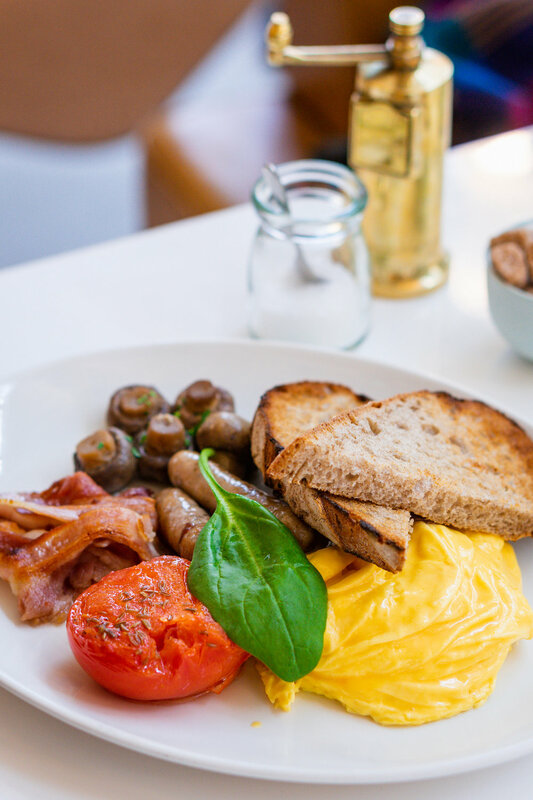 Head out to Bills for an undeniably beautiful, chill brunch before dedicating the day to shopping around Tenjin and at the mega underground mall Tenchika. If you start from the south, you can also make a midway ramen run to Shin Shin before more shopping. What: Overlooking Nakagawa River, the airy and aesthetic space and its easy-going menu of Instagram-ready dishes make Bills a highly popular brunch spot for both locals and tourists (reservations definitely recommended). Their signature Ricotta Hotcakes (¥1,500) are a must-try; each thick, fluffy slab is moist with a pleasant, mild ricotta salty edge. What: Spanning approximately 1km from north to south tips, Tenchika (map here) is the largest underground shopping area in Kyushu. It has about 150 stores lining the two long corridors, which conveniently links you to all the major department stores and shopping centers around the Tenjin area, and also has direct access to Tenjin and Tenjin-Minami subway stations, the Nishitetsu Fukuoka Train Station and Nishitetsu Tenjin Bus Center. 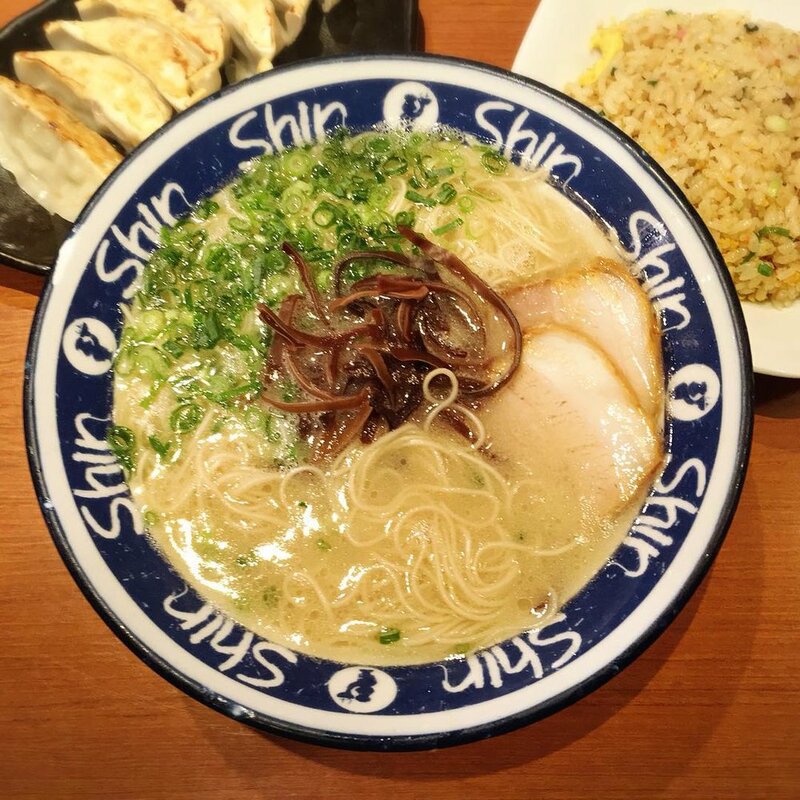 What: Shin Shin is one of Fukuoka’s most famous spots for Hakata ramen. 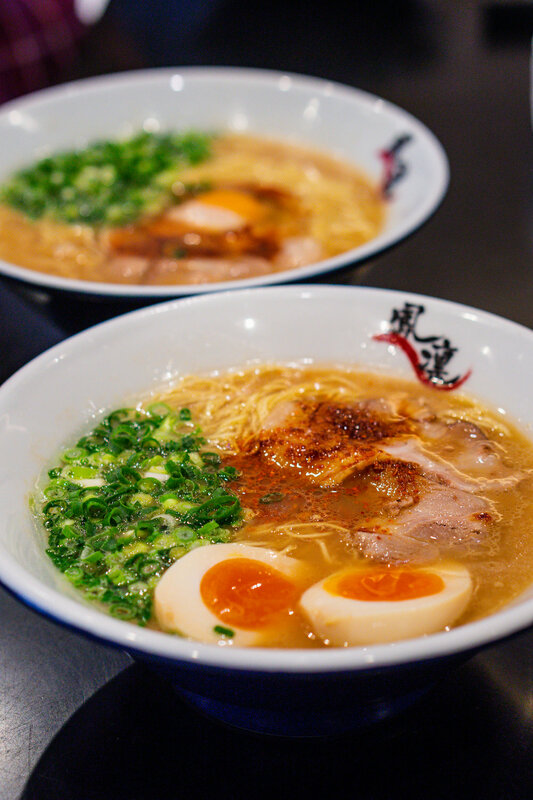 You can look forward to well-executed classic ramen of milky, umami-rich Tonkotsu broth prepared from pork bones, matched with Hakata-style fine, thin noodles and thick slices of Chashu cooked in a secret sauce till fall-apart tender. Expect to queue at peak meal periods! What: Tetsunabe is one of the many, many F&B options available at the basement intersection of Fukuoka Parco and Daimaru. Food-wise, it’s strictly decent only—not that it’s bad, but you’ll see I’ve listed another gyoza spot below that’s heaps better. What: A real surprise gem of a Roast Beef Bowl store. Generous portion of done-till-pink roast beef, topped with a scrummy garlic-laced sauce, half-boiled egg and garlic chips. I recommend pairing it with their Wasabi Mayo—they provide three kinds of mayos: plain, wasabi and mustard mayo. Many shops and restaurants around the area don't open till late (some even closing by 8pm Japan time) unless they're more drinks-forward like an Izakaya, so I’m thankful for this hearty late-dinner option. Another key area to explore in Fukuoka is Hakata. As it’s one of the largest stations in Japan, serving as the hub for Kyushu’s train network, it’s definitely more bustling. 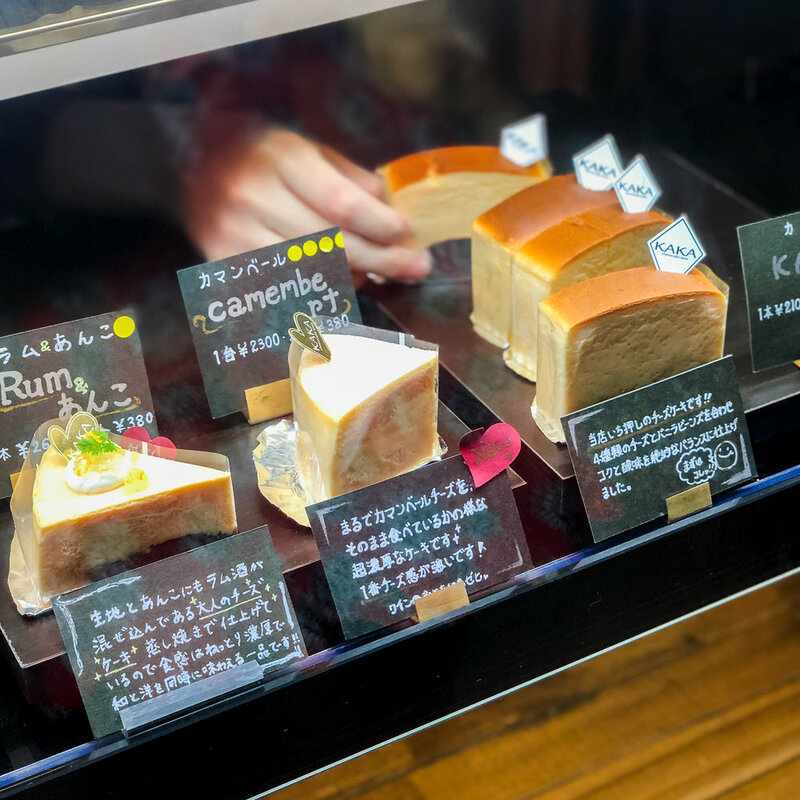 Fuel up at Bakery Mutsukado Cafe before combing through JR Hakata City and Canal City Hakata (to fight Space Invaders)—or to Hakata Kyushigai (Old Town) for cultural sights—then hitting legendary cast-iron pan gyoza eatery Hakata Gion Tetsunabe. What: Popular bakery known for their silky smooth, moist and delicious, freshly baked loaves. I’d visited the cosy outlet at Yakuin, though they also have a cafe concept at Amu Plaza where you can sit and enjoy with a hot cuppa. I had this stupidly good, and gorgeous, Croque Madame (¥650)—that line of spiced seasoning highlights natural sweetness of the thick-sliced bread—and also bought a simple and tasty sandwich pack for later. What: Established 20-odd years ago, this famous Takoyaki chain now sells their delicious balls across almost the whole of Japan. Their quality is good for such a large chain, and consistent across the Gindaco stores. They quite regularly introduce new and limited edition variations to the menu. This is their ‘Pizza’ version (¥680, 8 pieces) that comes interestingly with fried potato cubes, ham and nachos cheese across their crisp, lovely browned shells. What: The birthplace of all Sumiyoshi Shrines in Japan, this ancient shrine in Hakata is home to Sokotsutsuo-no-kami, Nakatsutsuo-no-kami, and Uwatsutsuo-no-kami, the gods of safe sea faring. The main shrine seen today was rebuilt in 1623 by Kuroda Nagamasa, first lord of the Fukuoka clan, and has since been designated an Important Cultural Asset to the country for its ancient architectural style known as ‘Sumiyoshizukuri’, which predates the arrival of Buddhism. What: Using special equipment of water fountain sprays, lighting and audio, and 3D projection mapping across a 2,500-inch glass screen, enjoy Japan’s largest entertainment show for FREE at Canal City. Happening on weekends till end May 2019, help fight off space invaders by just by clapping, as you enjoy classic Space Invaders tunes. What: As the first restaurant to serve gyoza in ‘tetsu nabe’ cast-iron pans, it’s no surprise this stalwart—started 40 years ago as a Yatai (street stall)—is wildly popular. The name is not exactly original, so please do not confused this with the subpar ‘similar brand’ I had at Tenjin. Serving Hakata-style, bite-sized gyoza (8 pieces for ¥500; one pax typically orders 1.5-2 servings and some sides) what stands out here is their crisp—crunchy and chewy at parts—skin packing perfectly moist filling of minced pork and cabbage. Best enjoyed with a mug of cold beer, and dipping sauce mixed with their zingy, homemade Yuzu Kosho and Togarashi (red chili) paste. What: If you love beef tongue, you have to make a trip down to beef tongue speciality restaurant. I recommend going straight for the first thing on the menu, a 10-course tasting spread (¥3,000) featuring three of their signature dishes: extremely flavourful, thick-cut aged beef tongue; Imari beef hamburger that you finish to preferred done-ness on a heated stone; and their winning, stone-grilled garlic fried rice. 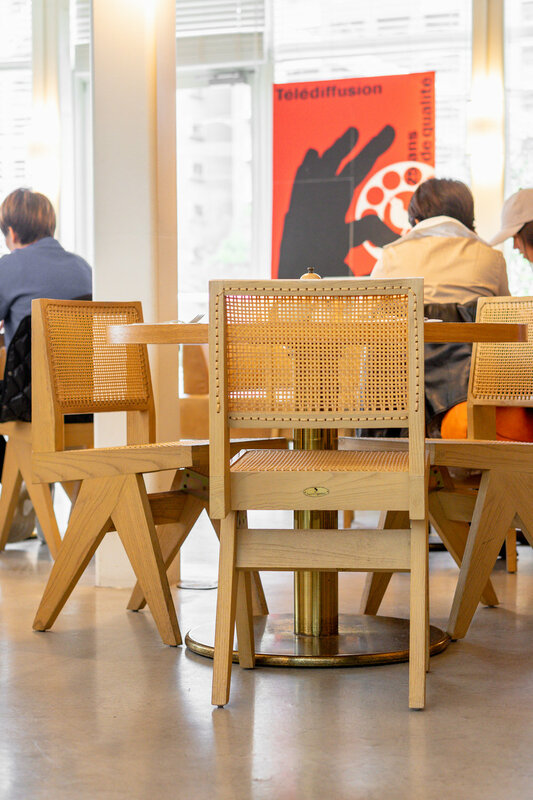 On the other side of Akasaka lies Maizuru Park, a lovely escape from all that urban hustle and bustle of the city, as well as some quiet but finessed cafes. It’s a more laid back kind of day that you can enjoy armed with just a cheery Spotify playlist and walking shoes. 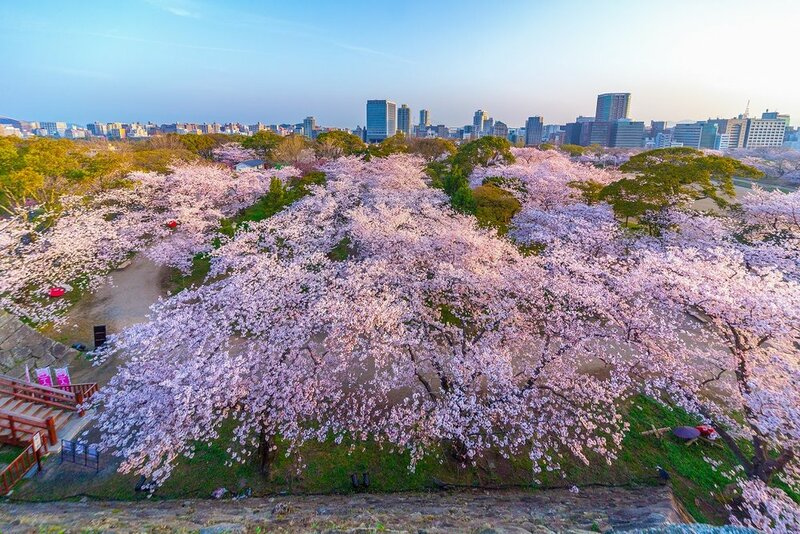 What: Once the largest castle in the whole of Kyushu, the atmospheric ruins of Fukuoka Castle, also known as the Maizuru Castle (taking its name from the surrounding park), is now one of the most famous spots in the prefecture for hanami, or cherry blossom viewing. During spring, you’ll find a number of walking paths lined with cherry trees, as well as plenty of lawned areas to enjoy the blooms. The Fukuoka Castle Ruins can be reached in a 10-15 minute walk from Ohori Koen Subway Station. What: Continue the zen with a pretty lunch filled with colourful vegetables at Papparayray. Situated in a renovated old Japanese-style house in the residential district, lush greenery almost seems to shield this airy, relaxed cafe with a focus on home-roasted coffee, and organic and seasonal produce. What: With an almost cult-like following (their items can sell out fast and early on weekends), this wildly popular and gorgeous bakery—could easily pass off as an art exhibition space with their raw finished interiors and multitude of dried flowers and leaves—is definitely worth making a trip down. Breads are slightly pricer than the more common, but there’s a finesse to it and I like their interesting mix of ingredients, such as carrots or purple cabbage, uncommon in typical Japanese bakeries. What: Opened by a true and passionate coffee connoisseur, you’ll find an interesting variety of specially sourced beans, roasted in-house by the owner. It’s an extremely lovely cafe, and the owner is friendly and willing to share more. 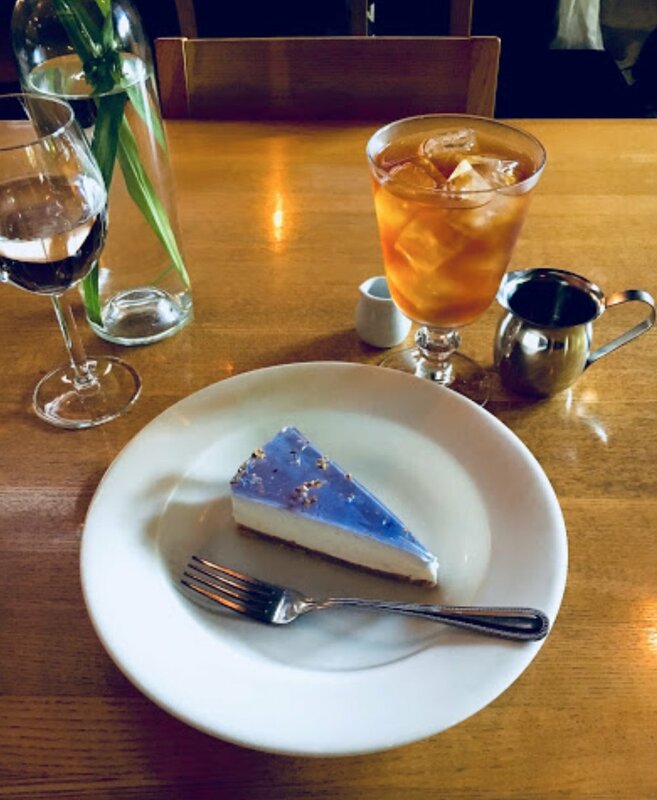 I wanted something chilled, so I opted for a refreshing Sacredo Coffee of espresso, vanilla ice cream and coffee granita, to go with a rich cheese tart. 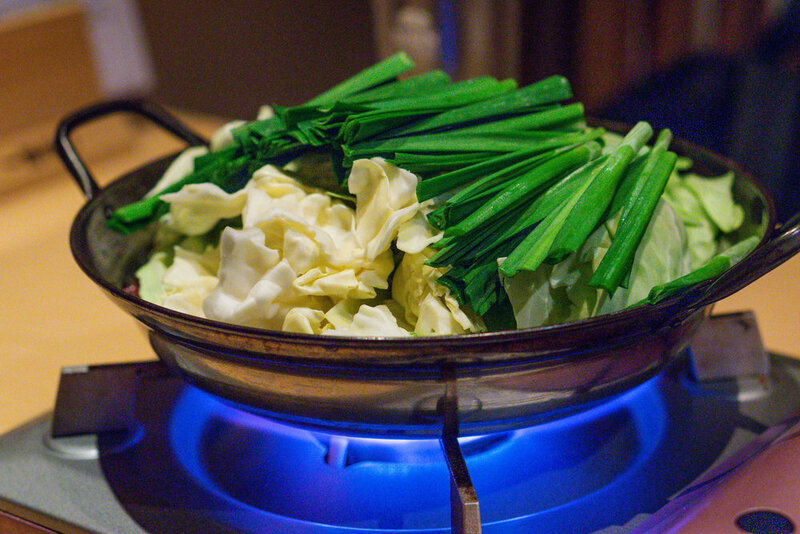 What: Motsu Nabe, a hot pot featuring offal stewed with cabbage and leek, is another famous and key Hakata dishes to try, so why not end Fukuoka with this? Established for close to 30 years, and also quite close to our Airbnb, Goe was an easy choice. It’s a chic space with plenty of private rooms for both intimate or larger groups. 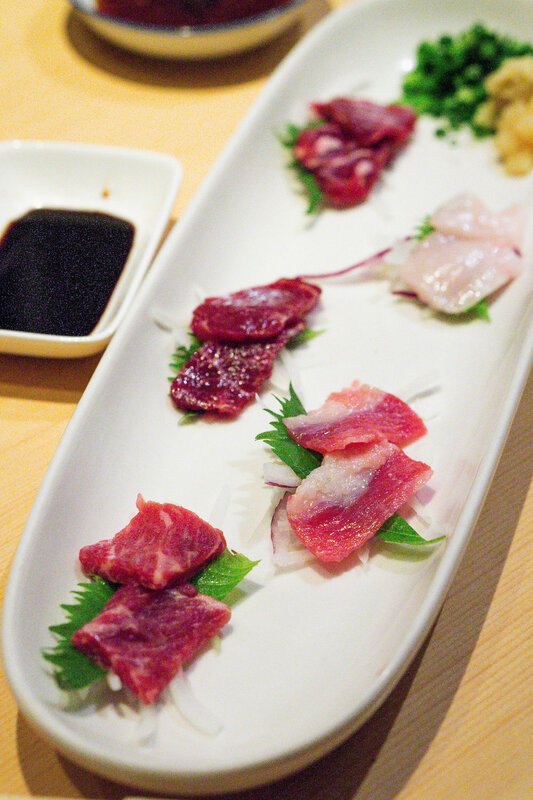 If you’re visiting for the first time, try their Offal Hot Pot Course (starts ¥2,000 for 7 courses) that you can upgrade to have a taste of horse sashimi. When you’re almost done with the hot pot, they’ll come by with Champon noodles that you can cook in the leftover, flavourful broth.